Trade marks and their distinctiveness seem to be the cats meow late this week, and this Kat thoroughly enjoyed Jeremy’s wonderful lounge read on the Sofaworks case. The discussion is however far from over, since here comes another case, dealing with something far smaller than sofas: ukuleles. The Ukulele Orchestra of Great Britain v Clausen & Another (t/a the United Kingdom Ukulele Orchestra)  EWHC 1772, decided just a mere two days ago, concerned a UK-based ukulele orchestra, The Ukulele Orchestra of Great Britain (UOGB), who have, since the mid 1980s, garnered some fame due to their unconventional and humorous takes on rock songs through the musical offerings of the ukulele and unusual garb in doing so. They attained this fame especially within the UK and Germany through their eccentric performances. And as with any classic music related story, a rival must emerge. Yellow Promotions, a partnership comprising of Erwin Clausen and Dieter Tings, operated another ukulele outfit called the The United Kingdom Ukulele Orchestra (UKUO), which was created by Mr. Tings and Peter Moss, a professional musician and part-time ukulele enthusiast. UKUO comprised of British musicians, but was based in Germany. UOGB owns the Community trade mark (CTM) “THE UKULELE ORCHESTRA OF GREAT BRITAIN” (No. 009477341), having registered it for a specific set of services under class 41, namely, the organisation, management, staging and provision of live events, concerts, musical performances, and theatre and stage productions; concert services, orchestra services, production of radio and television programmes; publication of electronic publications relating to music and musical instruments; entertainments services (grouped together as “concert services”), and further in respect of class 9 goods, specifically CDs, DVDs, video and audio tapes. The matter culminated in UOGB claiming infringement under Article 9(1)(b) and 9(1)(c) of the the CTM Regulation, while also alleging passing off. UKUO counterclaimed under Article 7(1)(b), (c), (d) and (g) of the same Regulations seeking to invalidate the trade mark. Judge Hacon, after dealing with the relevant case law, initially dealt with the claim of invalidity under Article 7(1)(c) (which included subsection (b) as well). As the case focused on only the concert service and CD/DVD goods in classes 41 and 9, he had to determine whether the mark was distinctive in those goods and service, or if it was merely descriptive. Judge Hacon quickly dismissed UOGB’s arguments to the contrary, and saw that the mark was descriptive for both concert services and CDs and DVDs. He then turned to considerations under Article 7((1)(d), and denied its application in the case due to the mark’s clear lack of use in the trade of ukulele orchestras, thus potentially monopolizing the terms use in the area. As Judge Hacon saw no evidence of the mark’s use in trade, rendering 7(1)(d) inapplicable, he turned to considerations on acquired distinctiveness. Having failed the previous two hurdles, the mark could still remain should it have acquired distinctiveness for those goods or services under Article 7(3) of the CTM Regulations. A mark can only acquired distinctiveness, as summarized by Judge Hacon and his review of extensive consideration by Justice Arnold in Europcar, through use as a consequence of which the mark indicates to the relevant class of persons the exclusive origin of the goods or services concerned. Further, this assessment has to be made in the light of the relevant countries within the European Community, and the respective language of the mark itself. UOGB submitted that they had acquired distinctiveness in 12 European countries, predominantly the UK and Germany, but having performed in several smaller, non-English speaking countries as well such as Sweden and Belgium. Judge Hacon quickly dismissed any claim in distinctiveness in relation to CDs and DVDs, but did accept that the orchestra had acquired distinctiveness for concert services in the UK and Germany. The orchestra then had to establish this in Ireland, Malta, the Netherlands, Denmark, Sweden, Finland, Cyprus, Austria, Luxembourg and Belgium, but due to a lack of evidence (and a failure to present such a case at all, as the Claimant argued the burden of proof was to disprove, rather than to prove, distinctiveness) the mark was swiftly deemed to have not acquired distinctiveness in the relevant countries of the Community. After the mark had been effectively deemed invalid by Judge Hacon, he still considered the possibility of infringement under Article 9(1)(b) and (c). UOGB did establish a firm case of confusion under Article 9(1)(b), as evidence provided showed several instances of actual confusion between the two orchestras and their concerts. He also accepted that UKUO, should the mark have not been deemed invalid, would have infringed it under Article 9(1)(c), as UKUO’s sign was clearly attempting to take advantage of UOGB’s mark, and its use could have caused detriment to UOGB as a result. Finally, Judge Hacon turned to UKUO’s defense under Article 12(b), and although UKUO did claim the sign used was merely of descriptive character (which it was deemed to be), their adoption of the mark within honest practices in industrial or commercial matters was placed in doubt by the judge. As the two partners of Yellow Promotions, Clausen and Tings, were fully aware, or ought to have been, of UOGB and had even looked at their website when thinking of a name for their orchestra, they clearly acted outside of honest practices and fell foul of Article 12(b). Outside of the claims relating to the registered mark, UOGB still had their claims of passing off and copyright infringement of dramatic works. With little extra consideration, Judge Hacon accepted the claim of passing off, as the evidence considered previously clearly established all requisite elements of passing off. Due to specific issues in the establishment of what was sought to be protected as a dramatic work, Judge Hacon dismissed their claim of copyright infringement, as evidence given showed no certainty of what performance was being protected, and not simply a set of elements said to be protectable (such as attire, use of only a single instrument and the inclusion of humorous monologues), thus leaving UOGB’s works beyond the scope of copyright. Ultimately only the claim under passing off succeeded, and UOGB’s mark was deemed invalid. 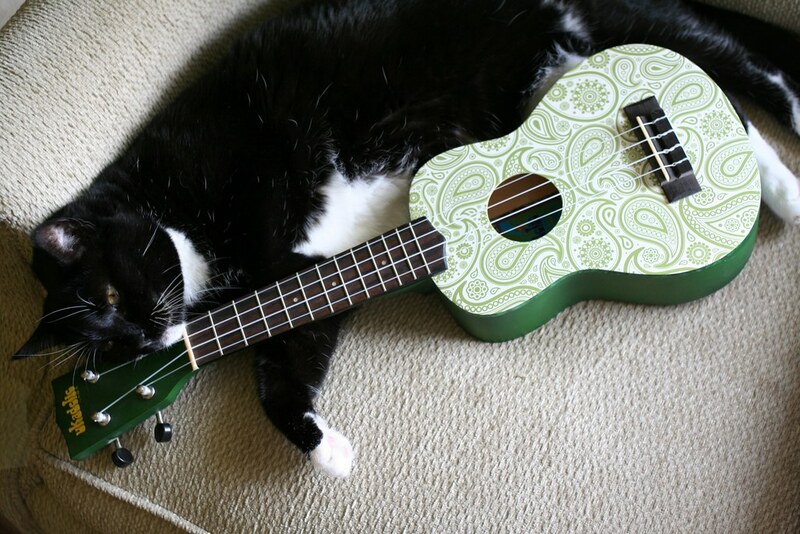 This Kat is by no means an aficionado of small instruments, and believes the fight was a surprising one, seeing that the market for ukulele performances cannot be that big (readers more inclined in this area of music can correct me here). Either Anonymous @ 11:50 or I have misunderstood the article. I understand that UOGB has had its CTM revoked. As a UOGB fan ever since my daughter took me to see them over 10 years ago, this seems pretty harsh to me. 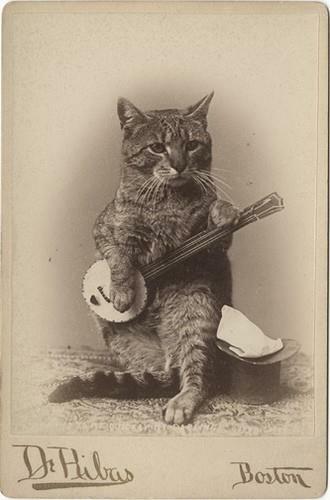 If anyone said "Ukulele Orchestra" to me, I would immediately have thought of them. Maybe the evidence wasn't very good. What a pity I wasn't called as a witness! Indeed, the CTM was deemed invalid, so sadly UOGB did lose their mark. Evidentially things were quite lacking, especially when it came to distinctiveness, but they did succeed on their passing off claim, which means they can still protect it within the UK. It's interesting to see fans of the orchestra pop up, especially since I never thought their following would be substantial, but I will admit my ukulele related musical knowledge is lacking.